Mads C. Forchhammer's book "Zackenberg - on the edge of winter" contains fine art photography, revolving around Aarhus University's research station Zackenberg in Northeast Greenland. It offers a unique insight into the life of researchers and their field work in High Arctic. Collaboration between universities spiced with industrial contributions awaits students at new course on environmental impacts of Arctic mineral resources exploitation (course number 11830). The ASP is happy to announce it's first field school. 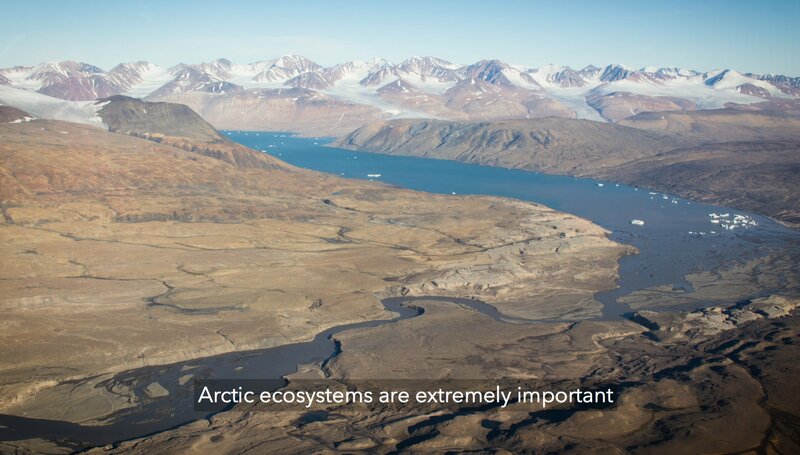 252 researchers have gathered knowledge of fauna and flora in the Arctic to be published in a new report this autumn. Already now the report creates debate on the action power of the Arctic Council. This year’s marine studies in the Upernavik area on the west coast of Greenland has just been completed. "Sanna", the Greenland Institute of Natural Resources' new research vessel, proved its worth as a versatile research vessel with capacity for interdisciplinary collaboration in both environmental and fisheries surveys. Several of the key species from the intertidal zone has their northern limit in the transition from sub-arctic to high-arctic climate. It is believed, therefore, that the tidal society, in which the blue mussel resides, is particularly sensitive to changes in air temperature and ice extension, and therefore functions as a kind of indicator habitat to quantify potential ecological effects of climatic variation in time and space. A collaboration between researchers from Lund University in Sweden, Greenland Climate Research Centre and Aarhus University have now as part of the Greenland Ecosystem Monitoring (GEM) led to the longest dataset with an unprecedented time resolution from anywhere in the Arctic have been published. Arctic scientists are watching in awe this week as a raging summer cyclone tears up what could become a record amount of rotting northern sea ice. Read new article. Scientists from Denmark and Canada are worried by their new findings showing that several bioaccumulative perfluoroalkyl substances (PFASs) are crossing the blood brain barrier of polar bears from Scoresby Sound, East Greenland. New research stations are now available to ASP scientists in North-East Greenland. The stations are donated by the VILLUM Foundation and the Aage V. Jensen Foundation to Greenland Self Government and Aarhus University.